Aphex Twin proves that music can be memorable without hooks or readily identifiable melodies. You might be approaching this review with no idea who or what exactly an AFX is. Or you might already know that AFX is an apparently arbitrarily used alter-alter-ego for pioneering electronica mastermind Richard D. James, best known as Aphex Twin (and, for the sake of convenience, let's stick to referring to his musical persona as Aphex Twin from now on). For both the novice and the well-entrenched fan, Chosen Lords has a lot to offer. For one, it is the first CD release of new Aphex Twin material since 2001's Druqs, his odd double-disc ode to the piano and what that instrument sounds like when its guts are altered. From sublimely Satie-like meditations to full-throttle jungle workouts, that release seems, in retrospect, to have ended an era in electronica when IDM, breakbeats, and chilly ambient albums ruled the day. In the electronic landscape of 2005, then, where did Aphex Twin stand? On top of the heap, that's where. During that year, he released a total of 41 tracks on Analord Volumes 1-11, a collection of individually released vinyl-only EPs. But it wasn't sheer mass of recordings that vaulted Aphex Twin back to the top. And it wasn't even the truly impressive sales figures, as each EP sold in five-figure quantities. Again, that's all on wax, people. No CDs, no iTunes music store, and none of them fancy, high-tech cassingles, neither. What proved Aphex Twin's greatness in 2005 was, of course, the music. And now here's a taste of that 2005 vinyl greatness, for those of us stuck hopelessly in the digital era. Chosen Lords collects 10 of those 41 tracks, hand-selected by Richard D. James, himself. Together, they form a very cohesive listen, coalescing as a proper album rather than a mere sampler. 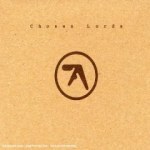 In keeping with the times, many of the sounds Aphex Twin employs on these tracks have a thick, squelchy, rubbery analog feel. On the opening track, "Fenix Funk 5", these textures are balanced by the kind of cold, skittering beats that he's famous for. These are just the ingredients, though. A computer and a bit of software can bring these elements to anyone's fingertips. Aphex Twin, however, is not content to simply establish a beat and then lay a gurgling melody on top of it. "Fenix Funk 5" quickly reestablishes his eye for detail and his craft as a composer of abstractions. What begins as robotic squonkings over a breakbeat yields to a sweet, shifting wash of synthetic near-vocal emissions. The beat sneaks back in behind, and then the track shifts again to hard stabs of blurping bass and jabbing pools of liquid steel. Amazingly, all of these stabs and jabs come with rounded edges, denying harshness and setting up the album's overall tone: Chosen Lords is a complex and original work that's also addictively listenable. Over the course of 10 tracks and 56 minutes, Aphex Twin proves that music can be memorable without hooks or readily identifiable melodies. A song like "Reunion 2", with its mournful, echoing trills, seems to burrow straight into the listener's subconscious, free of the maze of associations that come with words and hummable tunes. If this seems counterintuitive, well, that's all right. Aphex Twin's music is built on juxtapositions. On Druqs, these were made jarringly explicit. With this new disc, he investigates, instead, how beautiful music can be made by pairing seemingly disparate elements in a way that extracts from them a greater sound. And it all comes together just right, making Chosen Lords the most satisfying Aphex Twin album since 1995's I Care Because You Do.